In the latest webmaster Q&A hangouts, John Mueller, Google’s Webmaster Trends Analyst has answered (or revealed the answer) to a lot of big questions on how the disavow works and how long it can take for heavily penalized sites. This post will go over some of the main points in the meeting. How Long Does a Disavow Take? 1. Algorithm/link spam penalty issues can take half a year to a year (6 to 12 months) for algorithms to fully recrawl and reprocess everything. 2. 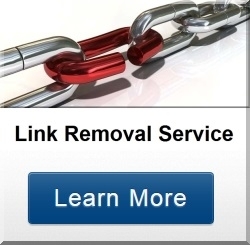 Disavowing links takes them out of the algorithms completely (it does not just devalue them some, they are completely ignored). He goes back to the first point (6-12 months) at least two more times in the video. The next suggestion is to look into social media or ad buying during this time to get traffic. An alternative would be paid traffic like Google, Bing, or Facebook ads. Again, nothing new but good info for anyone who has little experience with writing reconsideration requests. This is an interesting point around 23 minutes in the video that concerns starting a site over on a new domain using no redirect. Here John Mueller states that if you don’t do a redirect and just copy a site over to a new domain, this is still seen as a “site move” by Google’s algorithm and it will attempt to “forward those signals” from the old domain to the new one. This is explained as being done for sites that can’t redirect from the old domain for example from free hosts or hosts with limited functionality or webmasters who are not aware of redirect. It is not a strong as using a redirect but cloning a site exactly and then shutting down the old site may pass some link value through. Potentially this could be passing some negative value as well for penalized sites though this was not confirmed. Other questions that were not confirmed are whether or not this actually passes some of the penalty or negative value? And second, will Google still ‘remember’ the content if the old site is set to be completely deindexed in webmaster tools before putting up a new site? What is confirmed is that if the site, theme, or content is changed slightly (unspecified amount) it will be considered as a completely different site by Google and nothing will be passed from the old site. This is covered around 33 minutes in. Using the site removal request in Webmaster tools removes any number of pages from Google’s index in less than a day. While not using this tool could take over 6 months to deindex a 404 page in Google. Again nothing new here but good information regardless. Particularly when starting over on a new domain. This is relevant to blackhatters using churn and burn sites. Based on the response around 38:00, the implication is that the “honeymoon period” where new sites are given significant SERP boosts and immunity to penalties for some months is not going away any time soon. But that’s my take, don’t take my word for it; the direct question was more dodged than answered in the video. According to Mueller at 48:10, page load time has almost no significance in SERP ranking. 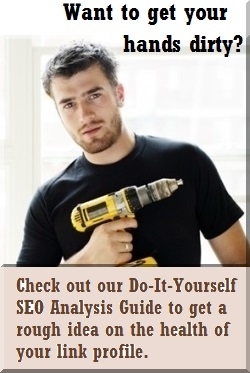 There are a lot of website analysis tools that have popped up recently. Website load time is great for visitors but changing the load time by milliseconds won’t make a difference in SERPs. Apparently website load time is only taken into account if it’s very slow… 1 second or half a second wont make a difference except for visitor behavior. That’s pretty much all that I found interesting that was covered in the video. Superb! […] I received a huge explanation of all the backlinks, got great advice, and I was even able to verify his advice on my own. I will be ordering this gig again. The whole experience with Dan was very positive all the way through. He started off with good communication on my initial questions. Then he delivered the results on time. The reports were excellent and most helpful. Dan’s analysis and report were both helpful and pertinent. Highly recommended.